Ben There, Dan That! is a point and click adventure game by Size Five Games, created with Adventure Game Studio. It was released on July 12, 2008. It is a freeware game, but there is a commercial version that is at a pay-what-you wish model (as well as in a bundle with the second edition on Steam) that includes a full soundtrack, graphical enhancements and lots of bonuses. 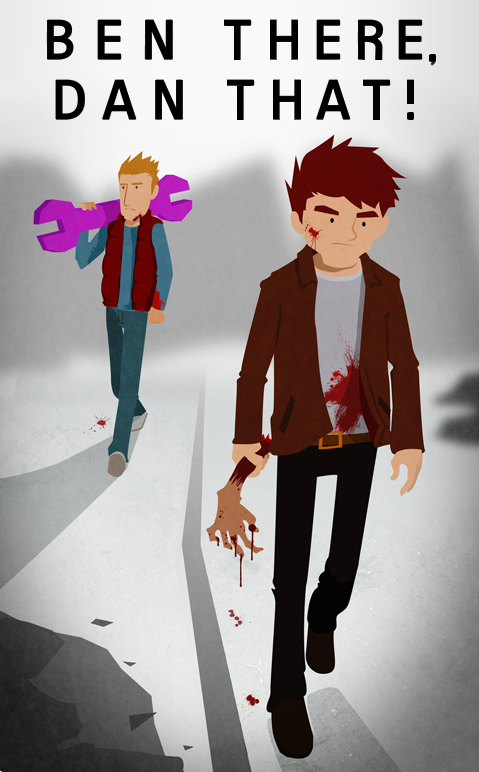 It is a comedy adventure featuring two British video gamers who get themselves into weird situations. Go Inside Ben There, Dan That!